What Is Chevrolet Vehicle Locate? The myChevrolet mobile phone app has a slew of features that make your life more convenient, but its newest addition might just take the cake. Chevrolet recently introduced Vehicle Locate, a feature that helps you reassure your loved ones that you’re okay by making checking in with them easier. Chevrolet Vehicle Locate will allow you to set up your phone to send automated text alerts to family and friends when your vehicle either goes through a designated boundary area or arrives at or departs from address. You can also use the vehicle to figure out where your vehicle is at any time. For instance, if you find yourself heading out on a blind date, you can set your Vehicle Locate feature to send your friends and family a text when you arrive safely home — just in case you might forget. You can do the same for your teen driver, setting the feature to send you a text when your new driver reaches school or home. 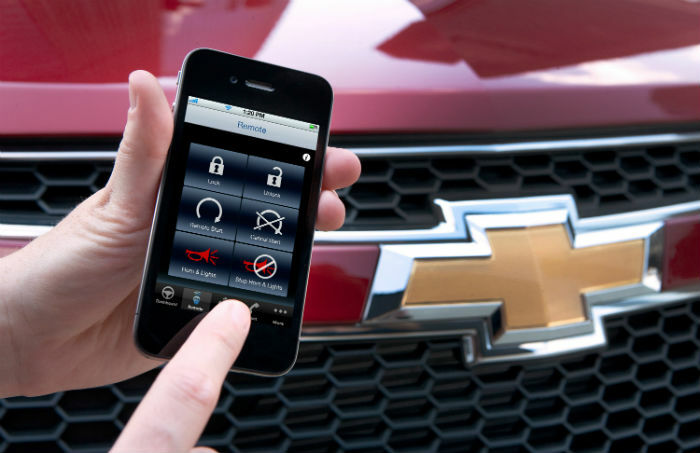 Contact us at Hanner Chevrolet near Abilene, TX to find out more about the myChevrolet Vehicle Locate function.